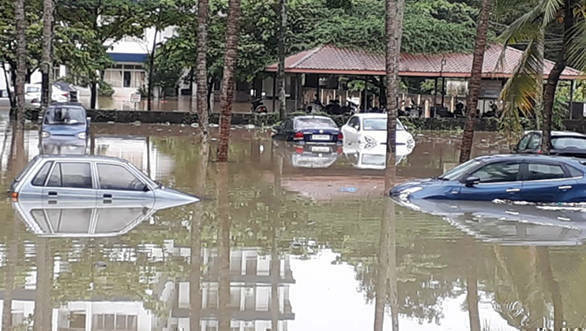 Maruti Suzuki has announced that its employees have collected Rs 1.82 crore towards flood relief and recovery efforts in the aftermath of the unprecedented floods in Kerala. The cheque was handed over by R S Kalsi, senior executive director, Marketing and Sales and T Hashimoto, executive director, Marketing and Sales, Maruti Suzuki to the Minister for Industries and Commerce, Sports and Youth Affairs, E. P. Jayarajan. The floods had caused extensive damage to life and property over the past month. Maruti Suzuki says that the donation is aimed at providing relief and rehabilitation for the affected people, and for reconstruction of areas damaged by the floods. The Rs 1.82 crore that was donated is in addition to the Rs 2 crore that Maruti Suzuki had donated previously to the Prime Minister's National Relief Fund (PMNRF). The company has also launched a special drive to support customers whose Maruti Suzuki car has been damaged in the floods. There are special teams that have been set up to coordinate, monitor and provide 24x7 support to customers at over 180 dealer workshops in Kerala. In addition, additional spare parts have been despatched to meet the expected demand.